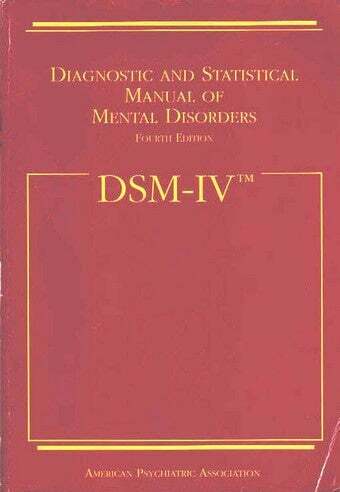 The DSM-5 — the American Psychiatric Association's handbook of mental disorders — doesn't come out until 2013, but a set of proposed revisions went online today, and there's something to piss everybody off. The DSM-IV, released in 1994, was already almost as complicated as the tax code, and it doesn't look like the planned revisions will simplify things any. Some disorders will be rolled up into new, broader diagnoses — hypochondriasis, somatization disorder, and the catchily named "pain disorder associated with both psychological factors and a general medical condition," for instance, may be combined into the almost-as-catchily named "complex somatic symptom disorder." And the thirteen personality disorders listed in the DSM-IV (including the currently modish narcissistic personality disorder) will become a single personality disorder with a variety of "types," "facets," and "domains." According to the LA Times, this last has angered advocates for borderline personality sufferers — Valerie Porr, president of The Treatment and Research Advancements Assn. for Personality Disorders, says, "It kind of trivializes the personality disorders." But as the DSM taketh away, it also giveth — proposed revisions include the addition of several new disorders, causing even more controversy. In some cases, the addition of new syndromes may help sufferers get treatment. Binge eating disorder may be included, which might help patients get their insurance to pay for therapy. Similarly, the possible addition of "addiction-like behavioral disorders" like Internet addiction might assist people in getting the help they need — although there's certain to be a backlash among critics who feel that such diagnoses are frivolous. But the proposed revisions also include the addition of various "risk syndromes" that may precede more serious disorders. For instance, patients who have "intact reality testing" (the ability to tell what's real and what's imagined) but who suffer from delusions, hallucinations, or "disorganized speech" could be diagnosed with psychosis risk syndrome. According to the LA Times, 25% to 30% of people who eventually become psychotic show symptoms of psychosis risk syndrome beforehand — meaning the new diagnosis might help some sufferers get early intervention, which is increasingly seen as a key part of successful treatment. But Rob Stein of the Washington Post raises the concern that "teenagers who are particularly eccentric" might find themselves diagnosed with a mental disorder under the new guidelines. And again, there's the issue of insurance. Stein quotes psychiatry professor Michael First, who's concerned about the proposal to create a risk syndrome for dementia. First says, "These people will never get long-term-care insurance if they have that on their chart" — and similarly, those diagnosed with psychosis risk syndrome as teens may find it limits their insurance options throughout life. All the DSMs, with their complicated types and subtypes, have illustrated how difficult mental illness remains to codify and understand — but the controversy over this edition reveals how deeply diseased is our system for treating all sick people. Diagnosing illnesses without blood tests or other concrete metrics is hard enough, but clinicians and sufferers alike have to deal with the fact that whether a patient gets better can be determined by whether a private company feels like paying for treatment. The entire insurance model of health care, in which for-profit entities mete out coverage based on supposed risk, is built on the idea that sick people, and not society, should be responsible for the treatment of illnesses most often out of their control. Since said sick people — especially those whose very sense of reality is affected by mental illness — often can't work, this is as impractical as it is unjust. And the arrival of the proposed revisions to the DSM just when real health-care reform appears to be limping into its grave is a sad reminder that diagnosing illness today is sometimes as much about gaming an unjust system as it is about actually helping people. I could go into criticisms of the whole DSM model for diagnosing mental illness — like writer Ethan Watters's theory that the availability of a diagnosis sometimes creates symptoms rather than describing them — but that would take all day. Instead, I'll simply reiterate that the revisions currently posted at DSM5.org are merely proposed, that they'll be chewed over by experts for several years to come, and that they're up for public comment until April 20. Given the contentious nature of basically all the issues involved, it promises to be a shitshow.